It’s Monday morning in Bengaluru. As you step out your front door, a rickshaw you ordered with your smartphone is already waiting to whisk you to the metro. After your metro trip, you emerge from the station across the city to find another rickshaw ready to take you to the office. Not a moment is wasted. This may seem like a dream to the average citizen of Bengalaru (also known as Bangalore), who now spends more than 240 hours a year stuck in traffic jams. But new technologies and the right policies could soon make it a reality. Across the globe, the way people move in cities is becoming more innovative and technologically sophisticated. Urban dwellers worldwide are becoming more accustomed to having mobility services on demand, to car- and bicycle-sharing systems, mobile trip-planning, and ticketing apps. The flexibility, convenience and affordability of shared mobility has had a huge impact in India, where, on average, over 6 million trips are taken with Ola, (a rival to Uber), each week. Working from home could completely change how much we need to commute in the first place. Work hubs and quiet spaces with good wifi could be set up in residential neighbourhoods so that people won’t have to travel across a city to get to their offices. Yet the number of cars on the road in India is growing. Every day, nearly 50,000 new vehicles hit the roads; vehicle registrations have been increasing by 10% a year. This is despite the fact that India has been introducing new metro lines in record time; over 200 kilometres have been built in Delhi, and 42 kilometres in Bengaluru, over the last decade – and another 530 kilometers is under construction across the country. Indeed, the number of personal vehicles in India is due to multiply three or four times by 2030, at significant cost to the economy and society. Issues such as “first- and last-mile connectivity” – how you get to and from a metro or bus stop from your starting point and to your final destination – have deterred many commuters from taking public transport. Many citizens of Delhi still prefer private vehicles, despite the comfort and efficiency of the metro, because there is no equally dependable system to help them reach their homes or offices from the stations. The World Resources Institute has found that a lack of proper connectivity is the biggest obstacle to using the Bengaluru metro. This is poised to change dramatically as the government begins to tackle transportation issues head-on. New mobility services are set to take over India thanks to legislation like the recently-launched metro rail policy, which requires companies applying for new subway projects to include integration of different modes of transport, simple payment options, first- and last-mile connectivity, and universally accessible infrastructure. Proposals which do not address these issues have already been sent back to be made compliant with the new policy. 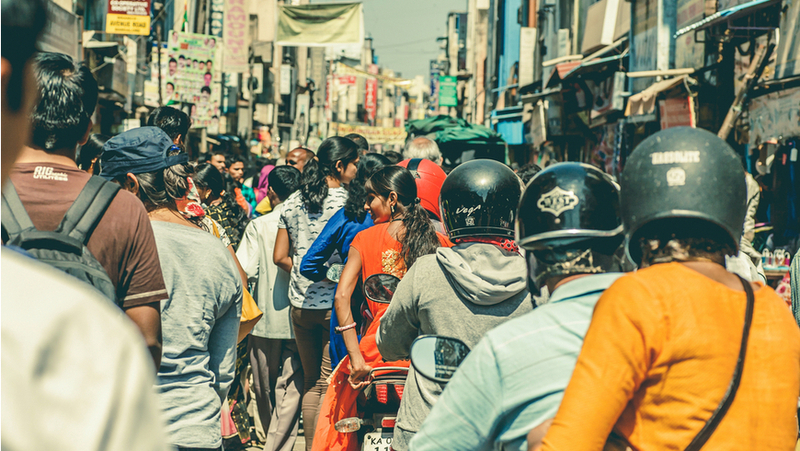 Research from the Coalition for Urban Transitions reports that more than 70 cities around the world (pdf) – including many Indian ones – are already partnering with new and innovative services to address the challenges facing their public transport systems. In Delhi, electric rickshaws are already unofficially filling the transit gap. Hyderabad recently announced partnerships with Ola and Uber to begin solving its connectivity issues. In Bengaluru, mobility start-ups have begun piloting innovative projects to tackle first- and last-mile connectivity; these include a carpool system to and from metro stations, two-wheeler vehicle sharing, and aggregating parking spots near the metro which users can reserve on their phones. Such partnerships and innovations could be really transformative as we grow our economy in a sustainable way and protect the global commons. Reducing traffic benefits health and the environment. We could recoup millions of working hours lost in traffic jams and significantly reduce accidents. And by making Indians’ mobility electric, shared and connected we could cut the energy it uses by a staggering 64% (pdf). Strong public- and private-sector leadership and skilled information technology and manufacturing workers will make further innovations possible. Getting around should be smooth, efficient, clean and budget-friendly – and in a city near you.